There are many established shops in Asakusa. One of them Kanmidokoro Nishiyama has 160 years history. Its located in front of No2 exit of Asakusa station; it is a great location. Also, it would be a nice place to take a rest from a long walk around this iconic town. 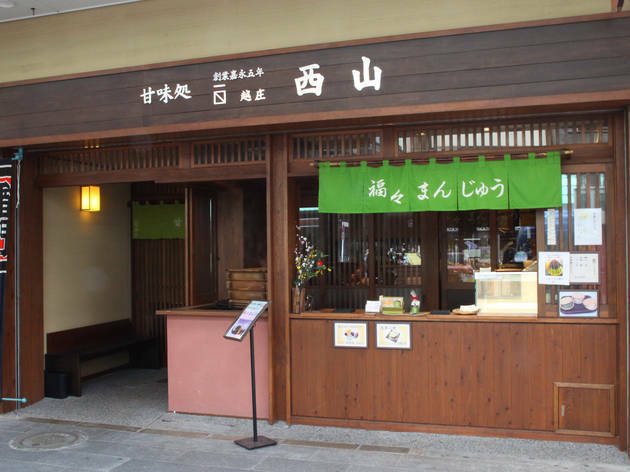 Kanmidokoro Nishiyama offers Japanese transitional warm welcome (Omotenashi) and authentic taste. Tranquil interior decoration would suite to your needs: to have a alone tea time or a chat with friends. Stuffs are very friendly offering you warm welcome. 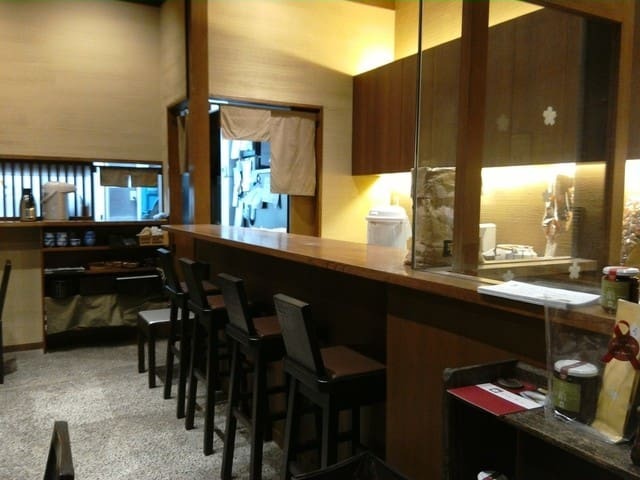 You can sit and enjoy their sweet in seating area, but they also have take away menu like Fukufuku Manjyu ( read bean bun) and home-made soft cream. Enjoy your take away menu while you walk around the town! Fukufuku Manjyu is home made. You can have a freshly made one on the spot. When you have it fresh, you can appreciate its super soft texture. Fukufuku Manjyu is free from artificial Ingredients. Their simple ingredients would be wheat floor, sugar and red bean only. 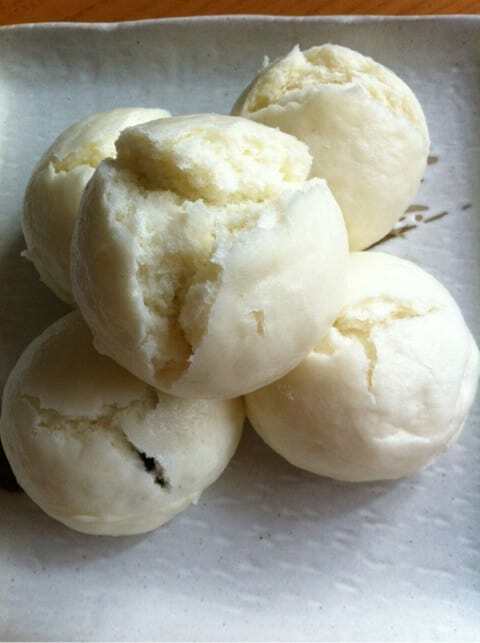 Sweet red bean paste is also home made. 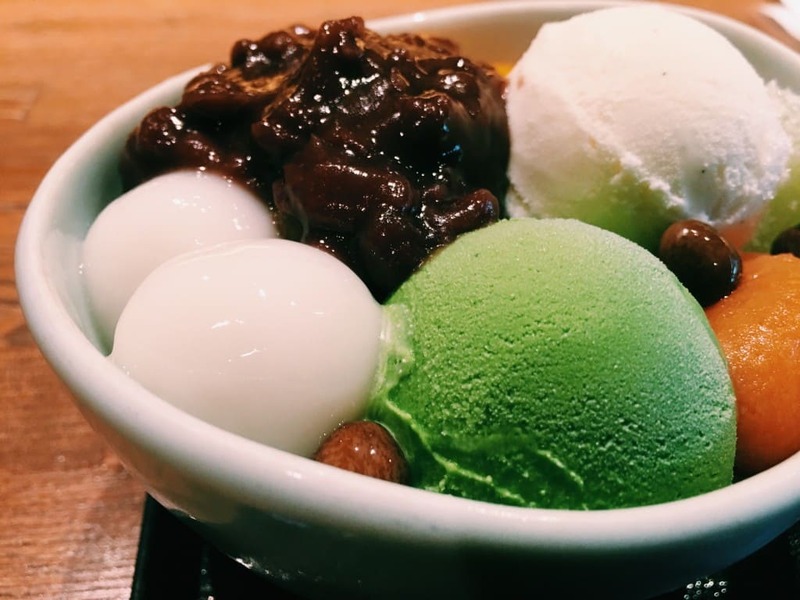 The red bean paste would be not too sweet, it balanced with salt to make it neutral taste. You can take this red bean paste in a jar as a souvenir, you can also buy special waffles to go with it. Amongst tourists from aboard, “Tokusei Nishiyama Anmitsu” and “Aziasobi” are their top sellers. Tokusei Nishiyama Anmitsu comes with two scopes of home made ice cream, sticky rice paste balls, red bean paste, apricots, and two flavors of sticky rice ball with ice cream. What a playful varieties! 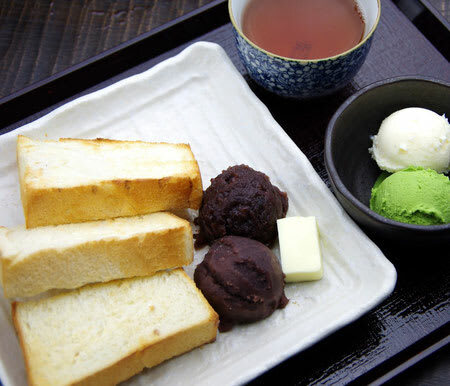 This unique dish comes with toasted bread (which is made by a well-known bakery Pelican) butter, red bean paste (grinded and original) home made green tea ice cream and vanilla ice cream. Enjoy the contrast of warm and cold.